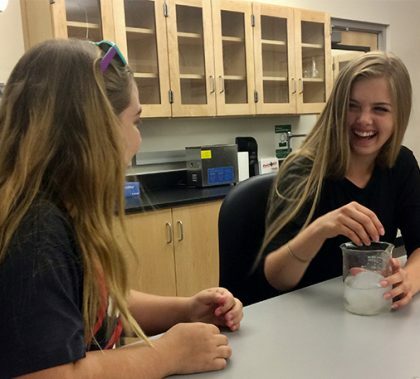 This week’s edition of Antelope Intros features a new employee who can’t wait to take his kids to the Christmas “snowfall” at Desert Ridge Marketplace and another who tries a new recipe every week. The foodie also proclaims herself a buff of a famous war in American history. This week’s edition of Fitness Facts is apropos for this time of year: Connie Colbert stresses the importance of taking proper precautions before going outside into the heat. In this week’s Mental Health Vitamin, Dr. Deb Wade has the right words to discuss the importance of the words we use. Those words can be destructive, but she has ideas about how to make them constructive. 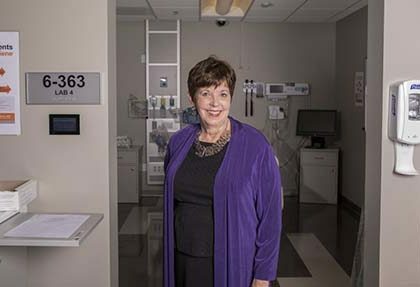 The end of Dr. Rose Saunders’ nearly 50-year career as an educator of nursing students was capped by her nomination for the March of Dimes Nurse of the Year in the Nursing Leadership and Administration Management category, one of 12 awards that will be presented on Friday at The Camby Hotel. 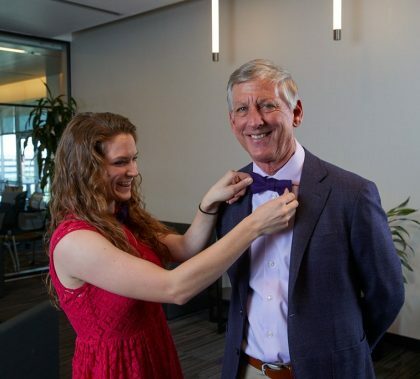 Saunders, who served as Associate Dean at GCU before entering semi-retirement as an adjunct professor, is enthralled with the authentic Christian worldview at GCU. 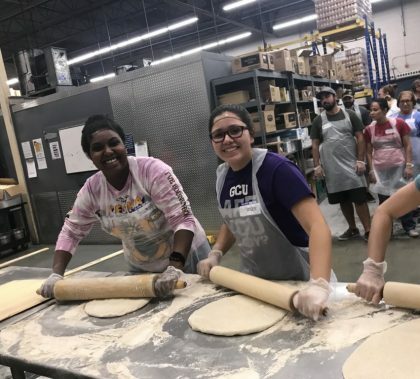 GCU News Bureau For the second year, members of the Phoenix Lopes Alumni Chapter volunteered at the “Friday Night Pizza” event at St. Vincent de Paul. Phoenix Lopes Chapter President Vince Licciardi was excited to welcome alumni, all who felt blessed to participate. 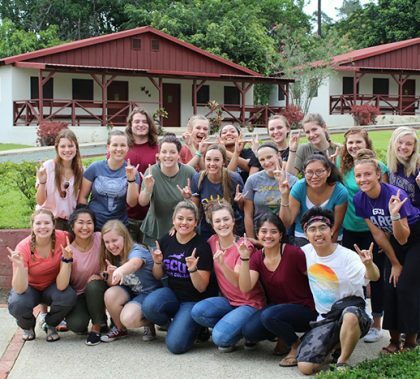 If you’re a GCU alum in the Phoenix area and interested in volunteering for future events, sign up here to ensure you receive notifications about future events. 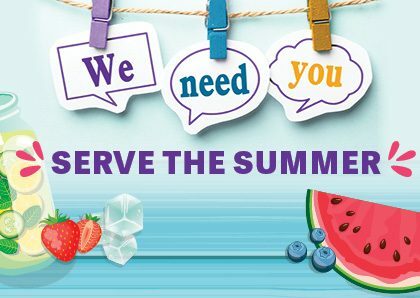 The Serve the Summer list of volunteer opportunities is available, and it includes ways to help children and those stuck in the heat. GCU Day is scheduled for July 23 and will be a great time to raise your hand. This year’s day of service is wrapped into the Back To School Clothing Drive. This week’s edition of Antelope Intros features a self-proclaimed “video game nerd” who loves hip-hop and a former GCU rugby player who knows what it’s like to shoulder the burden — or, in his case, burden his shoulders.